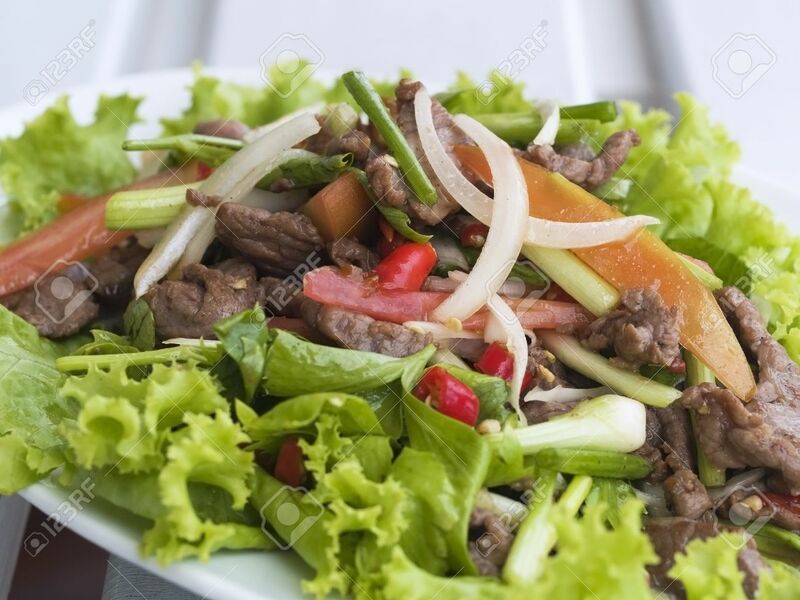 Thai Beef Salad, Yam Nua, A Very Spicy Salad With Cold, Fried.. Stock Photo, Picture And Royalty Free Image. Image 1582844. Stock Photo - Thai beef salad, yam nua, a very spicy salad with cold, fried beef, onion, garlic, chili pepper, tomato and spring onion. Shallow depth of field. Thai beef salad, yam nua, a very spicy salad with cold, fried beef, onion, garlic, chili pepper, tomato and spring onion. Shallow depth of field.